By Kari Klaus, the Founder of VivaGreenHomes.com: Global data-driven platform for eco home listings. I was recently interviewed by Joan Michelson of Green Connections Radio about my startup company www.VivaGreenHomes.com, Global data-driven platform for eco home listings. During the interview, I was asked about women and their role in tech and in sustainability. As an entrepreneur and non-technical founder of a sustainable tech start-up this question was really fascinating to explore. Tech, without a doubt, is a male dominated industry. Some statistics of large tech companies show that typically 60-75% or even more of their employees are male, while CEOs of S&P 500 companies in 2015 are even more male dominated, coming in at 96%. While tech is clearly an important part of my start-up company, I look at it as a tool to advance the true mission and culture of the company, which is sustainability and social impact in the real estate industry. And because sustainability is an emerging and growing market, the opportunities for women to become entrepreneurs, even in tech start-ups, are on a level that we have rarely seen before. During WWII, women entered the manufacturing industry, the armed forces and many other male dominated fields on a large scale. According to History.com, in just 5 years between 1940 and 1945, nearly 6 million women joined the workforce, from 27% to 37% of all women, and this included 1 out of every 4 married women. This placed women front and center of a critical part of our economy and our workforce in fields dominated by men. Unfortunately once the war ended, much of that momentum was lost for women to stay in those industries as men returned to those positions. Technology has opened the door once again. So how can women break into the tech industry even if they do not have a technical background? One way is by focusing on sustainability as the mission. Sustainability encompasses new (and up-cycled) technologies, creative solutions, and a fresh look at how our society functions every day, whether it’s in our home, family-life, commute, jobs, daily products, energy use and so on – there’s room for sustainability to improve all aspects of our lives. 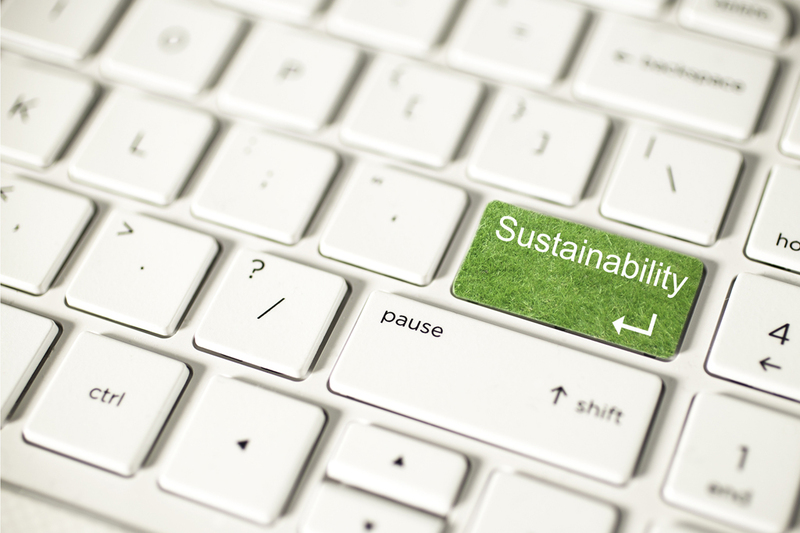 Both sustainability and tech are upending traditional markets. And with women as half the population, we should definitely be shaping the future of our products, services and our companies. One example is VivaGreenHomes.com, which is a comprehensive multiple listing system (MLS) type of database for eco home listings. Viva Green Homes is working to provide more data-driven information to consumers prior to ever seeing the home; like energy efficiency scores, eco certifications, details about the home’s features, and soon information about cost savings of owning an eco-home on each listing. All the while giving a place for sellers of these homes to accurately market their premium sustainable features. Viva Green Homes is breaking real estate data barriers and hopefully disrupting traditional real estate as we know it through its outside the box thinking. But while I’m a non-technical founder, I have taken steps to understand code, process and filling my tech gaps with mentors, friends, family and tech team members. I am also actively searching for a tech co-founder, which means that I will share the role for the technical vision of the company, a move that non-technical founders have to be open to. I started Viva Green Homes because I care greatly about sustainability, but tech has been the tool to actually bring my vision to life. From proprietary algorithms to databases and metrics, VivaGreenHomes.com is definitely a tech company, but the result is a company that’s mission is to incorporate eco and energy efficient homes into the traditional real estate industry while encouraging consumers to choose these homes as their own. Others recognize the value too for both Viva’s mission and its female entrepreneurship. Viva Green Homes is a winner in 2016 Cleantech Open’s Southeast region and a 2016 national finalist. As one of the few women that pitched in the competition, I received a lot of praise and encouragement for doing so. There’s a good deal of support out there for women to jump in. The company has gained momentum among other tech-based companies as a sustainable, social impact driven company and it’s received press in the Washington Post, Chicago Tribune and nationally syndicated columns, ActiveRain, ARLnow.com and more. Finding tech mentors, adding tech-co founders and team members, and learning at least the basics of coding are all essential and so are building the foundation of a start-up company. So here are some tips on how to do it. 1. Read The Lean Startup: How Today's Entrepreneurs Use Continuous Innovation to Create Radically Successful Businesses. This a very useful book for building the foundation for your startup responsibly. panel discussions, networking and resources. Some even focus on sustainability. Here are just a few sustainable and social impact driven incubators; Mentor Capital Network, Bethesda Green, Cleantech Open, but there are many others across the country. Also, use networking to find team members like Meetups and online through Linkedin,Idealist.org and Angel List. 3. There are resources for women like FemaleEntrepreneurs.Institute and the Department of Labor, which have some great tips for women in sustainability careers. The tech industry isn’t just about the newest gadget anymore, it’s where social impact and sustainability are the driving forces to meet our needs, and tech can help us achieve that. This is exactly the time for women to apply their knowledge and skills and break into the male dominated tech industry while also making a huge difference in our global and environmental progress. Connect with Kari Klaus on LinkedIn, AngelList and Follow VivaGreenHomes on Facebook and Twitter.